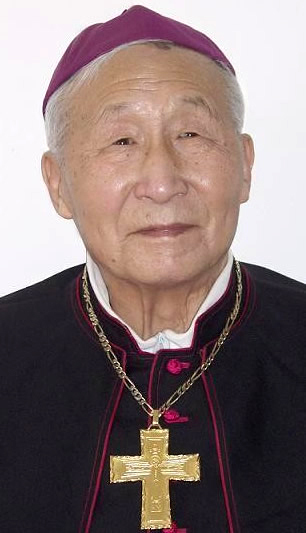 Stamford, Connecticut, U.S.A. --- Bishop Guo Wenzhi 郭文治主教, Bishop Emeritus of the Diocese of Qiqihar 齊齊哈爾市 in Heilongjiang 黑龍江, was called home by God (died) today, June 29, 2006, at 6:45 pm in his residence after a long illness. He was 88 years of age according to the western calendar, but 89 years by the Chinese calendar. According to Chinese culture, one's age is counted beginning at the moment of conception. 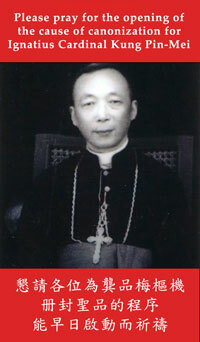 Bishop Guo was one of the underground Roman Catholic Bishops in China. He was born in the City of Qiqihar in Heilongjiang in a Catholic family of six siblings. 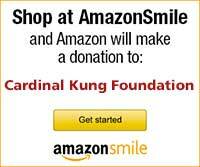 He was ordained a priest in 1948, and ordained a bishop in 1989 to become the Bishop of Qiqihar. He was accused of being a "counterrevolutionary" by the Chinese communist government in 1954 and was sentenced to 10 years to work in various labor camps. After his release from the labor camps, his zealous evangelization greatly revitalized the underground Roman Catholic Church in Qiqihar regardless of hostility from the Chinese authorities. He was jailed again for several months in 1989/1990 for participating in an underground bishops' conference. He established many underground Roman Catholic institutions and religious organizations that attracted many religious vocations and conversions. He retired in August, 2000. May God reward his work and sacrifice on earth and have mercy on his soul.